According to J.D. Power and Associates Lexus and Mini are the brands most likely to satisfy their owners, when it comes to dealer services. While its conventional wisdom that consumers will be heavily pressed to make unnecessary repairs by greedy dealers, the 2011 Customer Service Index reveals that very few owners actually face “upsell” pressure from dealers who want to perform unnecessary repairs. Only 7% of customers faced these kind of pressures, according to Power’s survey of nearly 100,000 owners and lessees of 2006 through 2010 model-year vehicles. The older your car is the more likely is for you to face a pressure concerning a dealer service. Making a suggestion about additional service work can actually be a good thing for the customers and also for the dealerships, because “Customers may prolong the life of their vehicle while service facilities may gain additional revenue.” says Jon Osborn, Power’s research director. Other studies show that there is a strong possibility for customers who feel they have been pressured to abandon a dealer and even defect to another brand. The Customer Service Index study it’s based on several factors, including service quality, service facility, service advisor, service initiation and vehicle pickup. 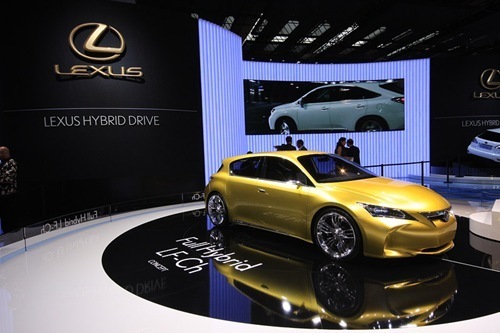 Among individual brands, Lexus was the absolute leader, also number one in the luxury segment, with a score of 846. Close behind were Jaguar, Cadillac and Acura. Another thing that’s worth to mention it’s the improvements of Volvo and Porsche over their 2010 scores. Among mass market brands, Mini ranked highest, with a score of 805 points – up 19 points from the 2010 Customer Service Index. Also in the top five mass market brands GMC, Buick, Chevrolet and Kia. Mazda and Suzuki, meanwhile, scored the biggest improvements.